We have a long history of evolving our business to stay relevant and food safety has been a big part of our story since 1977. One of our highest priorities, we are committed to best-in-class safety standards ensuring our customers receive the freshest and highest quality products. Each division is HACCP (Hazard Analysis and Critical Control Points) Certified with a dedicated Quality Assurance team who vigilantly monitors a detailed food safety program that includes regular staff training, recall traceability program, temperature monitoring and more. All facilities regularly go through Good Distribution Audits and other third party food safety audits. 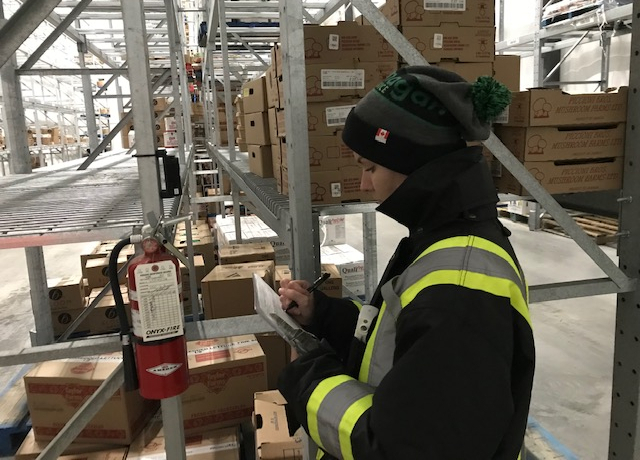 A complex series of procedures are enforced on a regular basis; from the time an order is received in our warehouse to the time it is delivered to our customers, the entire Flanagan team is working together ensure product integrity. Product inspection at time of receiving and temperature checks with climate controlled products.